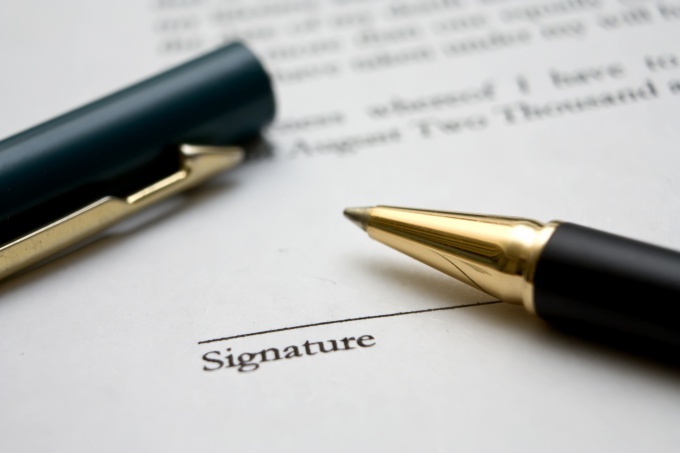 In any organization, during working process, enter into contracts, which are paid by certain work, shopping or services. Usually treaties are signed by two parties and have legal force for the whole period of their validity. But sometimes there is a need to amend the document and it requires preparation of a separate Protocol differences. The Protocol of disagreements shall be drawn up in the presence of all the parties to the transaction, if such a meeting is not possible, then the initiator of making a change personally or sends by Fax the other side of the document and after approval it shall be signed by the parties. The Protocol shall be endorsed by signatures and seals shall be registered in the registry. Drawn up in two copies, one for each side, in case if the contract is bilateral and in three or more, if more of the parties. In the Protocol of disagreements no title page. First is the name of the Protocol and contract number, then the justification point of view, taking into account the current legislation. After this point the meaning of the claims and amendments in the contract. To make the table or just the text that is written in any form. First is an excerpt from the Treaty itself, and then its correction. Then indicate a reference to a law or other document. It is desirable to prove his claim clearly. Items that are of particular importance can be highlighted. You can file a report for any number of A4 sheets. This document have the same legal validity equal to the contract binding on the parties and registered in the Unified register of contracts. If the Protocol is drawn up to the contract, which is based on the results of the competition, quoted bids or auction, you should besides be included in the register of contracts register on the website of state and municipal orders and obtain the corresponding unique number. You have to fill in data on contracts, which indicate that this Supplement to the existing contract and signing details of the Bank signature of the head to take them to the accounting Department. This procedure will provide the correct range of documents and will protect against unscheduled inspection by the Antimonopoly body. Any Protocol needs to be agreed at the stage of conclusion. It is impossible to follow the changes without signatures and stamps, as well as in the event of disagreement between the parties. If you cannot resolve the issues by peaceful agreement, should apply for dispute resolution to the Arbitration court at the location of the organizations. Sign and seal have not only the last sheet with the details of the parties, but each page separately. The Protocol of disagreements is better to be the lawyer together with the Director and accountant. In this case, virtually eliminates the possibility of omissions or incorrect presentation of facts.